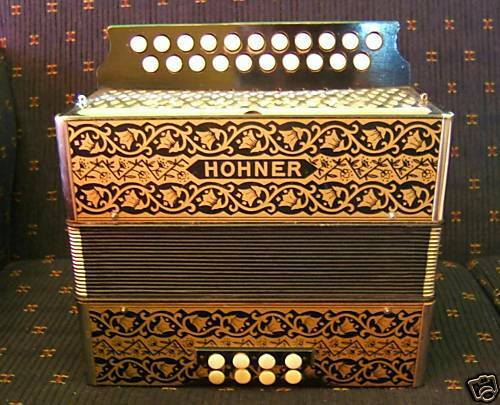 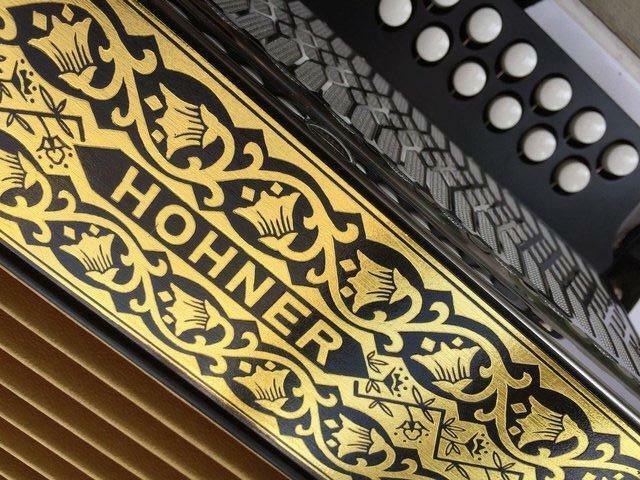 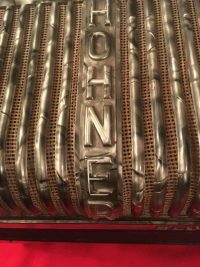 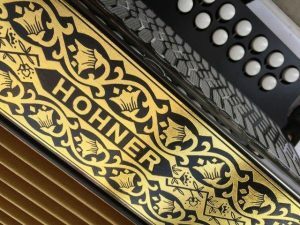 This is a totally unplayed melodeon,as perfect as the day it was unpacked many years ago.This Hohner Pokerwork is in the key of D/G,and is perfect for any player and ideal for Morris. 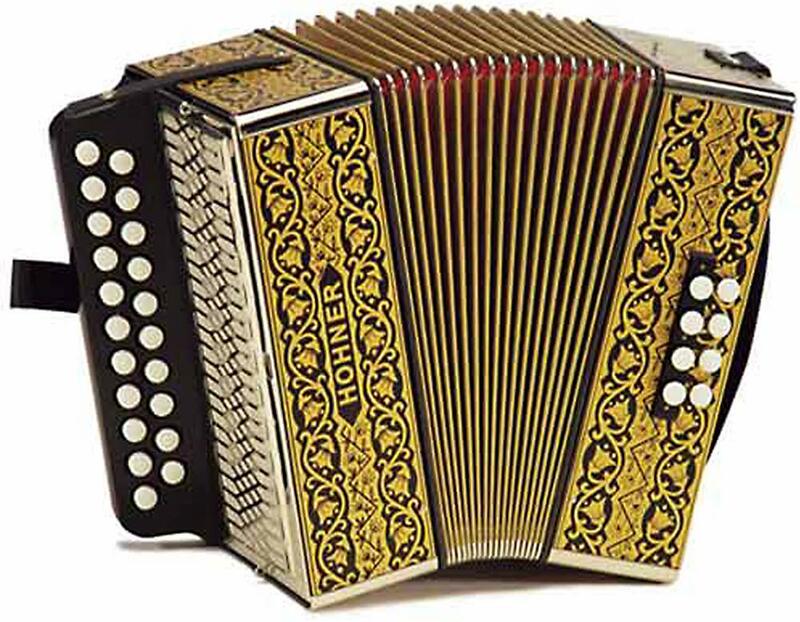 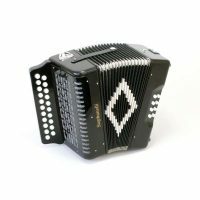 This button accordion comes complete with original leather straps, a brand new gig bag for easy transportation and keeping it safe from the weather, and a full years parts labour warranty. 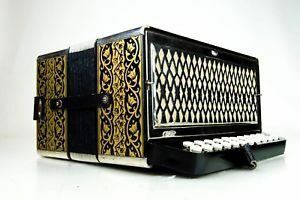 So if you would like to own a beautiful instrument regarded as the workhorse of Morris in such stunning condition be quick!